Marietta is sitting in her living room watching TV. Marietta: I can’t believe I just finished Kathie Lee’s last episode on the Today Show. What am I going to do without KLG and Hoda in the morning? This is a disaster! Marietta gets a call from Patty Lynn. Marietta: Mom, what do you want? This is a very emotional time for me. Patty Lynn: I just saw on the news that there’s a hurricane coming! We need to stick together. Marietta: Mom, we live in New Orleans. We’re used to this. And besides, I’m dealing with something much worse right now. Kathie Lee just left the Today Show. Patty Lynn: I’m sorry Kathie Lee is leaving, but you really need to get your priorities straight right now. Your father is in bed with a headache and I need to talk to someone about this hurricane because it’s terrifying me. Marietta sees a report on the local news about the impending hurricane. Marietta: Alright, so it does look a bit bigger than I anticipated. Why did nobody mention this massive hurricane that’s supposed to hit us in three days before now? Patty Lynn: The whole city has been talking about how I need to run for city council after I worked my magic last week. Marietta: I can assure you, nobody is saying that. Patty Lynn: What other explanation is there, then? Marietta: I don’t know, mom. Now if you excuse me, I’m going to go and cry. You should bug, I meant, tell Milton about the hurricane. Patty Lynn: Alright Marietta! Have a nice day, and be safe. It’s calm out there now, but you never know when the storm’s gonna hit. 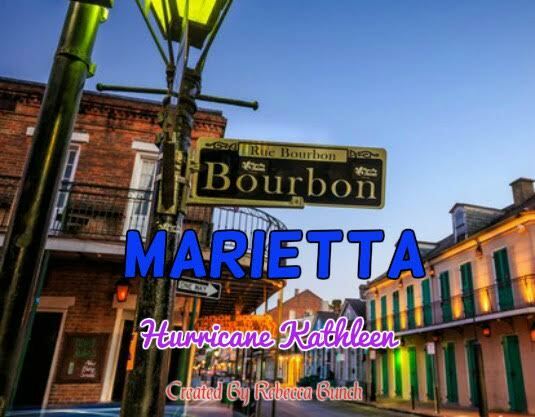 Marietta: It’s a hurricane, mom. they don’t really have a tendency to sneak up on people. But I’ll come over to your house the day it’s supposed to hit. That way you don’t have to worry about how I'm doing, you can see with your very eyes that I’m fine. Patty Lynn: Alright, I’ll talk to you soon and see you then! Martin: It’s here. I can sense it. Patty Lynn: What’s here? The hurricane? That’s not supposed to be here until tomorrow! Patty Lynn: The hurricane isn’t named Kathleen, silly! It’s named Katya. Martin: No Patty Lynn, my sister Kathleen. She’s here. She’s in New Orleans. Patty Lynn: Don't be ridiculous. You haven’t spoken to her in over a year. Martin: She’s been calling lately. Patty Lynn: What? She has been? Martin: Yes. She called every day for the past two weeks or so but she stopped two days ago. Patty Lynn: If she hasn’t called in a few days, why do you think she’s here? Martin: I just have a bad feeling. And I don’t think she’s here for any good reason. Patty Lynn: You don’t know that. Maybe she’s here for a family reunion? Martin: The day before a hurricane? Patty Lynn: You never know. Maybe she just doesn’t watch the news! Martin: Maybe you’re right. I probably am just overthinking it. Maybe she’s not even coming at all! Three hours later, Martin and Patty Lynn get a knock at their door. Martin: I’ll let you in, just give me one minute! Patty Lynn (whispering): You were right, she is here! Martin (whispering): I’m a little scared to see her. It’s been so long since I’ve actually seen her. Patty Lynn (whispering): Don’t worry, you’re gonna do great. It’ll should nice for you to see her again after so long. Kathleen: What the hell are you doing in there? It’s raining out here, will you just let me in? Martin: I see you haven’t changed a bit, Kathleen. You do look awful, though. What’s wrong? Kathleen: It’s been a rough couple of months. Martin: Allen died? Oh my god, I’m so sorry. Kathleen: It’s fine. It’s… fine. Martin: I didn’t know Kathleen, I truly didn’t. What happened to him? Kathleen: Brain cancer. It was a long time coming. He got the diagnosis in September of last year, he was gone eight months later. We went back down to Arkansas in March so he could spend his last few months with his family. You know how much he loved it there. Martin: I still remember when we’d all spend the summers there. Me and Patty Lynn would take Marietta and Milton, and the four of us would come up to meet you and Allen and the kids and we would have so much fun just sitting around and talking and playing board games and watching TV together. Kathleen: I remember it, too. We were all so close. Martin: Why didn’t you tell me what was happening? I would have been on the first flight to Hartford. Martin: I just wish I could have been there for you. Kathleen: Well, you weren’t, and you shouldn’t blame yourself. I was too much of a coward to just call when what I needed most was for my big brother to give me a hug and tell me everything was going to be fine. Martin: Don’t blame yourself. I could have called. We both made mistakes. Patty Lynn: I don’t mean to interrupt this very emotional reconnection, but would anyone like tea? I made too much for myself and don’t want to waste it. Kathleen: I’ll take a cup with sugar and milk. And a teaspoon of vanilla if you have any. Patty Lynn: Gee, that’s fancy! I didn’t know I was hosting the Queen of England at my house. Kathleen: If you don’t have any vanilla, I don’t really need it. Patty Lynn: I’m kidding! I’ll see if I can find any. Martin: Anyway, like I was saying, I don’t want you to be upset anymore about this. You might not have called me about Allen, but I’m no angel Just look at me, I ignored like fifteen of your calls. Kathleen: Yeah, what in the hell is wrong with you? Martin: Okay, that's not very fair. I told you not to feel any guilt. Kathleen: I’m only kidding! I needed to lighten the mood! Martin: Oh, good. I just don’t want to be mad anymore. Kathleen: I'm not mad anymore, not at all. I don’t love that I had to drive straight through for over a day from Hartford to New Orleans, but I’m not mad about it. Martin: You drove straight through? No wonder you look like this! Kathleen: What’s that supposed to mean? Kathleen: I don’t actually feel all that tired. Probably from all the adrenaline that’s I had built up. Martin: Why didn’t you just fly down? Martin: So you figured it’d be better to just drive, then? Kathleen: I needed to see you! I was scared that something happened to you! Martin: Well, I feel fine. There’s no way you do, though. You need to lay down and take a nap. Kathleen: What? But the fun is just getting started! Martin: I just got my sister back, I don’t need her to collapse on me right when I get her back. Kathleen: Alright, it’s noon right now. Wake me up at four! I don’t want to miss any more of the day than that! Martin: Alright, I’ll try to get you up then. Kathleen: Oh, by the way, would you mind if I brought my suitcase in? My pajamas are in there and I can’t sleep in this. Martin: Yeah, why are you wearing a pantsuit? There’s no way that was comfortable on a 24-hour drive. Kathleen: I was a congresswoman, Martin. I need to remain stylish at all times. Martin: Some things really never change. Kathleen: We were only estranged a year, Martin, not three decades. I wasn’t going to change that much in that time. Patty Lynn: The tea is ready, and I found the vanilla! Kathleen: Oh, I'm sorry Patty Lynn. Martin's making me take a nap. Patty Lynn: Oh. I’ll just… pour it down the drain, I guess. Patty Lynn: I already made a cup for you, with hazelnut creamer in it. Just how you like it. Martin: I can just drink them both, don't worry. Patty Lynn: Fine. I was going to melodramatically drop the mug into the sink, but I guess you drinking it works, too. Martin: Kathleen it’s 5 o’clock. Time to get up. Kathleen: Martin, is that you? What am I doing here? Martin: It’s me, Kathleen. You're just overly tired right now, you probably don’t realize what’s happening. Kathleen: I’m exhausted Martin, I think I need to sleep some more. Martin: Alright, you go ahead. Milton’s here though, so try to get up soon. Kathleen: Milton’s here? I better get up to see him! Martin: But aren’t you still exhausted? Kathleen: Yeah, but I have a reason to get up now. Martin: Oh. That makes me feel great. Kathleen: That’s not what I meant at all! It's worth it to get up and see you and Patty Lynn, I just know you'll be here when I get up no matter what. Now c’mon, I have a nephew to see. Martin and Kathleen walk downstairs. Kathleen: Milton! It’s so great to see you. Milton: What has it been, five years? Kathleen: Sounds about right. It was so long since I was in Louisiana, and now I’ve been here twice in a few months. Martin: You were here a few months ago? Kathleen: Allen was buried in Metairie. The kids wanted him near them and since I got him all to myself for 50 years, and since I plan to be buried here anyway, we buried him here. Martin: We should go see his grave while you’re still here. Well, if you stay long enough after this hurricane passes. Kathleen: I sure picked a great time to come. I finally come back to my home city and I can’t even go outside! It's just cruel. But, I don’t think we need to worry about rushing to Allen's grave. Martin: Why not? Don't you want to see him before you go back to Connecticut? Kathleen: I'm not too worried about it. Because I’m not going back to Connecticut. I have no reason to stay there. My only family is here. We only moved there for Allen’s job. Now that it’s gone, as nice as Hartford is, I don’t want to stay in that big house all by myself. Martin: Are you really moving back to New Orleans? Patty Lynn: Wow Kathleen, between you and Eliza, all of my family is returning home lately! It’s lovely! Kathleen: Eliza’s home? How is she, she was always such a lovely little girl. Patty Lynn: She’s now married, and her and her wife are expecting twins! Kathleen: She’s married to a woman? Well, we always were a progressive family. Milton: I really wish I could help you with house hunting, Aunt Kathleen, but I gave away my campaign headquarters to Eliza and Elena. No more property to give away for free and never get recognized for. Patty Lynn: Do you want a medal? Tammy: It’s me, Martin! I’m seeking refuge from the hurricane! Martin: Come on in! My sister Kathleen is here, first time I five years we’ve seen each other in person! Tammy: Oh that’s great! Hi Kathleen, I’m Tammy! Kathleen: I know who you are! You were the First Lady! Martin, why is First Lady Yarborough standing in your foyer? Tammy: I’m Marietta’s best friend, and I live here now, too. Martin: So Tammy, how'd you end up here? Tammy: Patty Lynn told me to stop by to wait out the storm. I didn’t know she invited half the city! Eliza: Aunt Patty Lynn, it’s Eliza and Elena! Patty Lynn: It’s open, sweetie! Eliza: Kathleen! What are you doing here? Kathleen: I’m back in town. For good, too. Kathleen: Your Aunt Patty Lynn was just telling me about that. So, what are you two doing here? Eliza: Aunt Patty Lynn invited us. We hope you don’t mind that we brought Henrietta, Mason and Charlotte along. Patty: What’s three more people? Martin: How many other people are coming to your hurricane party, Patty Lynn? Patty Lynn: Just Marietta. She should be here by now. I called everyone a few hours ago to tell them to get here early so they could beat the storm. Martin: I’ll go pick her up. She probably just forgot. Patty Lynn: Should I call first? Martin: No, don’t. I have to stop at Walmart first and I don’t want her waiting for me in case it takes too long. Patty Lynn: Alright Martin, just hurry and be safe! Twenty minutes later, there is a knock at the door. Patty Lynn: Martin, are you home so soon? Marietta: No, but his just-as-awesome daughter is here! Patty Lynn: Come on in, Marietta. Your dad is heading over to your house to pick you up, looks like you beat him here. Marietta: Can’t you call him and tell him to just come home? Patty Lynn: He forgot his phone, as always. I swear he’d forget his head too if it wasn’t attached to his body. Milton runs in to the room. Milton: Hey guys, you have to see this! Betty Benoit is on TV while rain pours all over her. Her makeup is running and she looks like a sad clown. It’s glorious! Patty Lynn and Marietta run in to watch Betty’s appearance on The Spin Zone with Dan Freberg and Sarah Pratt. Betty: So as you can clearly see, this hurricane is coming and it is coming with a vengeance. I mean, there's tons of rain just falling out of the sky right now, and the winds are probably going to start picking up soon. It’s very important that everyone watching in Louisiana find shelter. Don’t go anywhere! Dan: Senator, why aren't you taking your own advice? Why are you just standing in the street in a windbreaker talking about the hurricane? Betty: I'm doing a public service announcement. Besides, what I’m doing isn't any more dangerous than what reporters do during every other hurricane. Dan: You should probably still take cover, for your own safety. Betty: Don’t mansplain hurricanes to me, Dan. Mansplain is the term that the liberals use, right? Dan: That’s not what I’m doing, we just want all of our guests to remain safe. The feed to Betty’s camera cuts off. Dan: Alright folks, that was Senator Betty Benoit, Republican of Louisiana, who we really hope is still alive right now. No promises, though. Marietta: Why was she standing in the rain? Patty Lynn: She loves the attention. This was probably the only way anyone would put her on TV. Tammy: I still can’t believe that moron is a US Senator. I think she might be the dumbest person I’ve ever met. Marietta: It’s Louisiana, Tammy. They only cared about whether she was a Republican, not if she had any brains. Kathleen: I was a congresswoman from rural Arkansas. I know the feeling. Marietta: Oh my god, Aunt Kathleen! I didn’t know you were here! How are you? Kathleen: I’ve been better. But I’m feeling better now that the entire family is here. Marietta: Well, except for Uncle Marvin and Aunt Alicia. But I assume they’re busy traveling the world and relaxing on a beach in Bali right about now. Kathleen: I wish we could all be so lucky. I feel like I should try and catch you up on some stuff, wanna go chat? Marietta: Sure! It’s been so long since I’ve seen you, I need to know what’s going on in your crazy life! Kathleen: Hey Patty Lynn, I think I’m heading to bed. It’s been a long 48 hours and all I had a short nap. Would you mind? Patty Lynn: Of course not! We’re all gonna be here awhile, might as well get some rest if you need it. Kathleen: Alright, I’ll see you tomorrow. Marietta: Hey mom, I just noticed something. Where the hell is dad? Patty Lynn: Oh my god, I’ve been so caught up in all these conversations that I didn’t even notice that he’s gone! We have to go find him. Marietta: Put on your coat, let’s go look for him. Patty Lynn and Marietta get ready and open the door, but are greeted with high winds and pouring rain. Marietta: Okay, I don’t feel like dying today, so I’d suggest that we stay here and just wait the storm out. Patty Lynn: But the hurricane won’t be gone for hours! I can’t wait that long to find him. Milton: You didn’t even realize he was gone until five minutes ago, I think you can wait a few hours. I know you want him to be safe, but you need to stay safe yourself. Patty Lynn: Alright. But right when this storm ends, we’re going to find your father. Eliza: Who wants to play Pictionary? Marietta: Not now, Eliza. Not the time. Eliza: Alright, how about Clue? Marietta: That’s fine, I guess. Tammy: I want to be Mrs. Peacock! Patty Lynn: I’m glad to see we all have our priorities straight.